You should never step into the sun without protecting your eyes from the sun. Sunglasses were made to protect the eyes from being damaged by the sun. They were not made to just give a great appearance but to also protect our eyes from the sun’s ultraviolet (UV) rays. 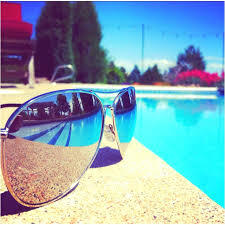 A quality pair of sunglasses will have a label indicating they provide 99% – 100% protection from UVA and UVB rays. If this label is missing, the sunglasses are for show and should not be worn outdoors. In sunlight, the eyes naturally squint and pupils constrict to block out excess light. 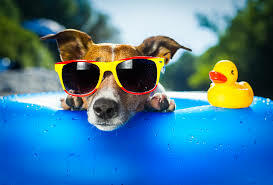 Sunglasses allow the eyes to relax and the pupils to adjust to the shade, but if the sunglasses offer little to no UV protection, the eyes are actually more susceptible to damage. Paul Trapeni offers a wide selection of sunglasses to provide his patients’ eyes optimal protection from the sun. Many people take their vision for granted. When it comes to eye health, Dr. Paul Trapeni educates his patients on the importance of taking care of their eyes. There are many reasons to protect the eyes from UV radiation. Taking care of your vision will prevent: skin cancer, cataracts, macular degeneration, pterygium, and photokeratiti. Skin Cancer: Up to 10 percent of all skin cancers are found on the eyelid. Cataracts: Causes blurred vision as the lens of the eye grow cloudy. Prolonged exposure to UV rays is estimated to cause around 20% of cataracts. Macular Degeneration: Can impact central vision. Damage to the retina can be a cause of sun exposure. Pterygium: Eye’s attempt to protect itself by growing excess tissue over the white areas. This affects eye shape and can lead to astigmatism. This abnormal growth of tissue—also called surfer’s eye—may progress slowly from either corner across the white part of the eye, possibly leading to inflammation or disturbance of vision. Photokeratiti: Essentially a sunburn of the eye, it’s temporary (healing within 48 hours) but can be painful, causing blurred vision, light sensitivity, and the sensation of having sand in your eye. Dr. Trapeni understands the importance of protecting the eyes from UV exposure. He educates his patients at The Optical Shoppe on the difference a pair of high quality sunglasses can make in the long run. It is never too late to start wearing sunglasses in order to put a halt to the negative effects of the sun. Visit Dr. Trapeni, Optometrist, to purchase a pair today. He has been protecting his patients’ eyes for more than 25 years.